Our society would fall without the invention of the sewing machine and the many jobs it can complete. Not only does it serve a practical purpose like making clothes that keep us warm, but the sewing machine also helps us relax through leisure activities like sewing. Even psychology and science agree: studies from the National Center for Biotechnology and the Australian Government’s Health Department show that having hobbies improves mental health. But why advocate for sewing in particular? Sewing by nature allows the user to create something useful to daily life such as a cute shirt or a chair cover while also providing self-satisfaction. Easy to follow guides such as patterns and YouTube tutorials have given more people access to sewing and sewing machines. The creative process that goes into what to make and which fabrics to use allows for expressing one’s mind. 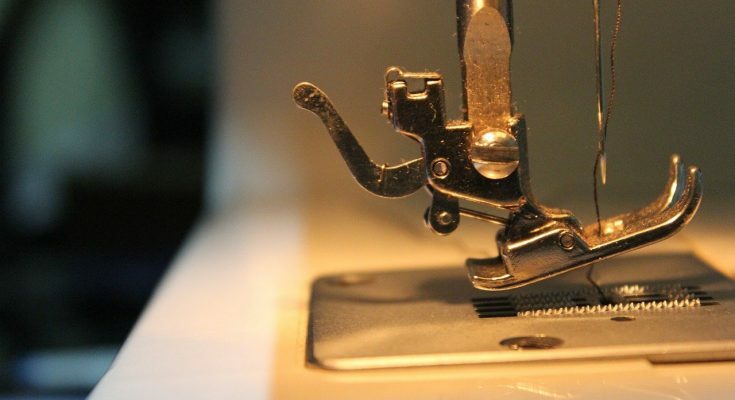 With sewing machines being easier to operate and at decent prices, the open communities of the internet, and patterns with instructions, sewing is the hobby to relieve stress – all with the daily use of a sewing machine. High amounts of stress in our lives can stem from a lack of self-satisfaction or the terrible feeling of not being able to provide anything useful to the world. Creating little trinkets with no purpose may satisfy some but others find more fulfillment in creating something useful to daily life. With a sewing machine, making something practical and useful has never been easier. Limits are nearly endless, and with so many options to sew from, making something impractical is not a problem. Having a sewing machine provides the opportunity to fill an empty hole in the soul through creative sewing projects. Some people struggle with creative expression because they often compare themselves to artists who have been practicing longer than them. This can be discouraging and often causes people to stray from the arts and indulge in unhealthy habits to fill that void such as chronic Facebook scrolling. With sewing, the instructions are already laid out for you! Patterns come in all shapes and sizes while still leaving room for creative expression in what fabric is used. This sort of safe freedom without the stress of messing up a project because of lack of ‘talent’ can help relax the user, encouraging them to sew even more. And with more sewing, the need of a sewing machine in daily life is pretty much crucial. Part of what reduces anxiety when participating in a hobby is the amount of focus put into the project. Focus is what makes having a hobby relaxing, the “in the moment” concentration allows for the user to forget about their stress. Sewing requires a high amount of unwavering concentration when operating a machine. Guiding the lines and cutting the fabric are tasks that can be hard to reverse. Some may fear this sort of ‘don’t mess up’ pressure counteracts the entire purpose of sewing to relieve stress, but it is that exact sort of pressure that initiates the focus. Having a sewing machine in daily life would allow for the user to practice sewing and become more comfortable with the art as well. In conclusion, having a personal sewing machine accessible on a daily basis leads to the hobby of sewing which can help overcome anxiety and stress. Sewing has a unique ability to put the user in a comfortable position of having creative freedoms while still having a perfect garment because of patterns and instructions. The tasks of pinning, cutting, and stitching put the user into a state of focus that pushes aside stress and anxiety to keep concentration on the fabric. Having a sewing machine enables both creativity and practicality.